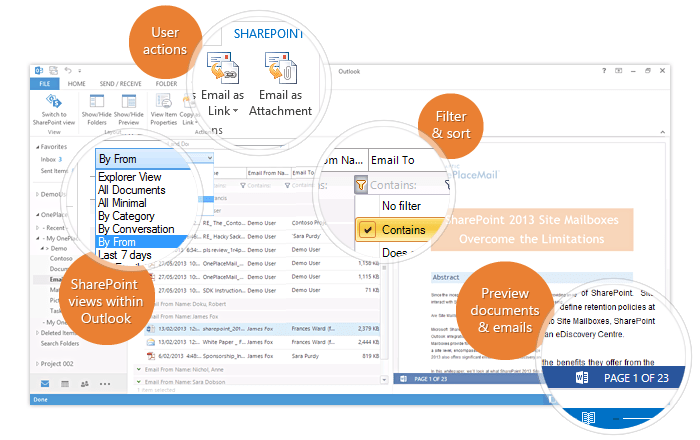 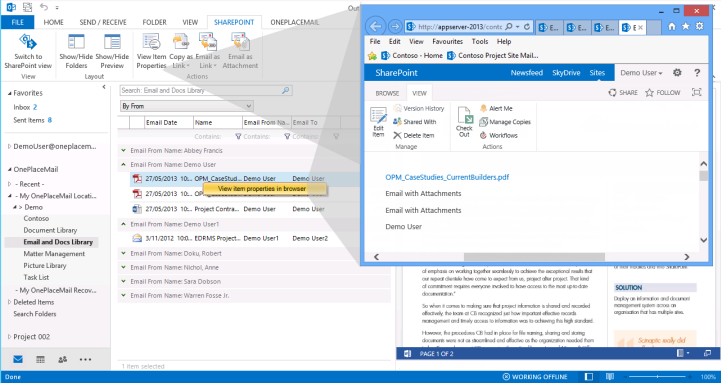 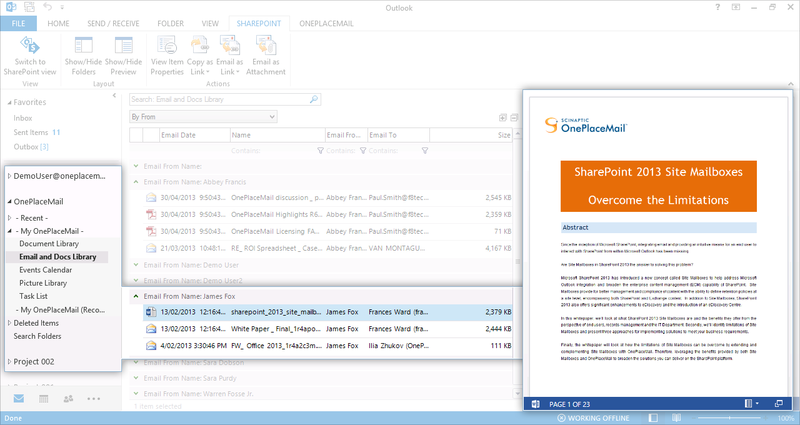 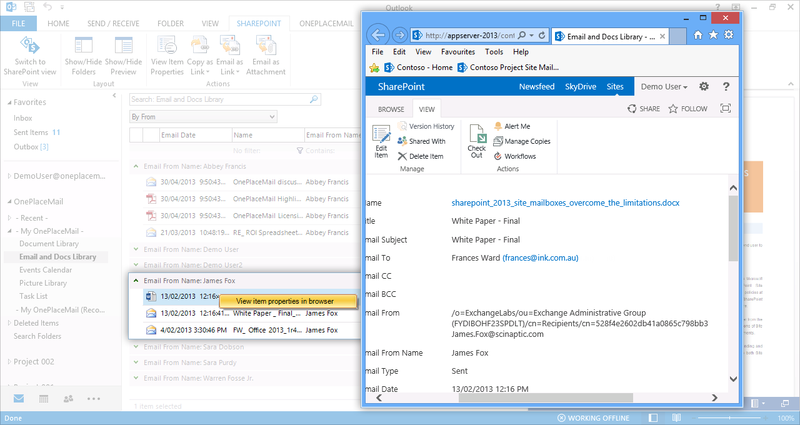 End user productivity is significantly increased through efficient access to SharePoint content and minimal change in the Microsoft Outlook user experience which improves the adoption of your SharePoint solutions. 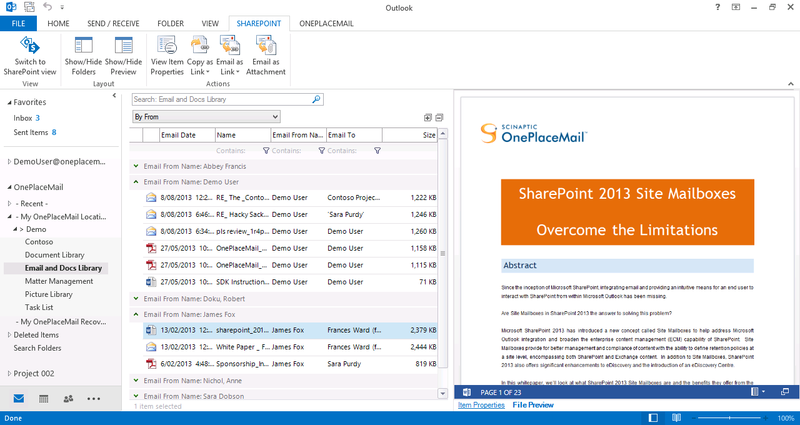 Microsoft Office Web Apps Server email and document previews (where available) and performace controls for local previews. 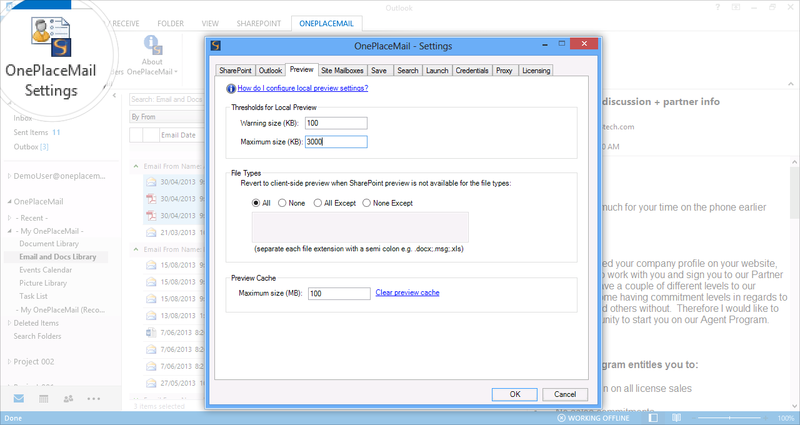 Performace controls for local previews. 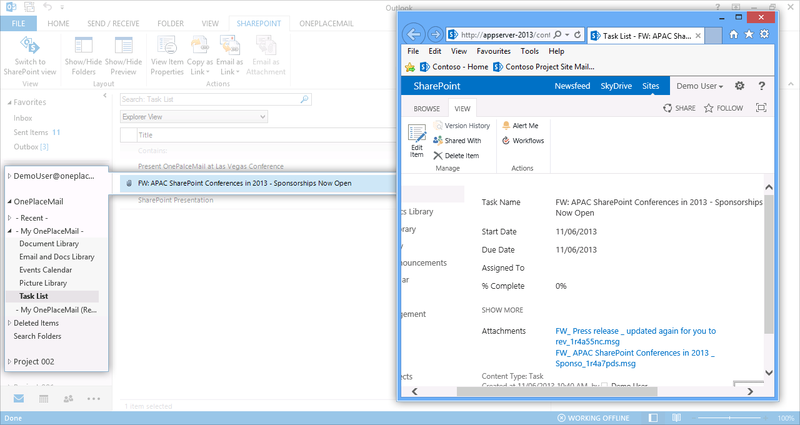 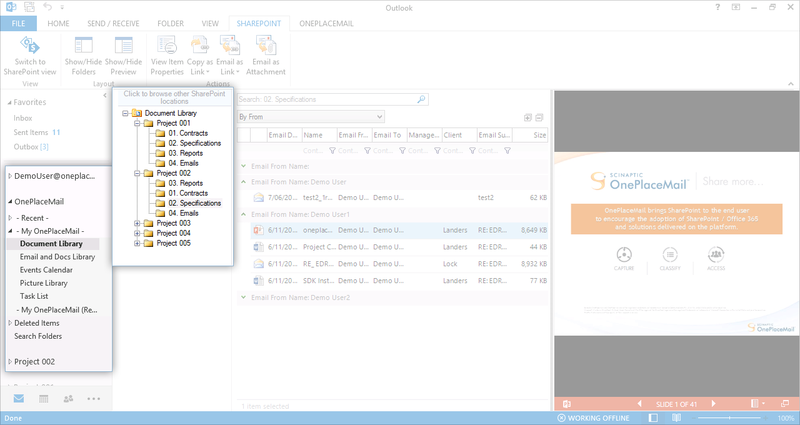 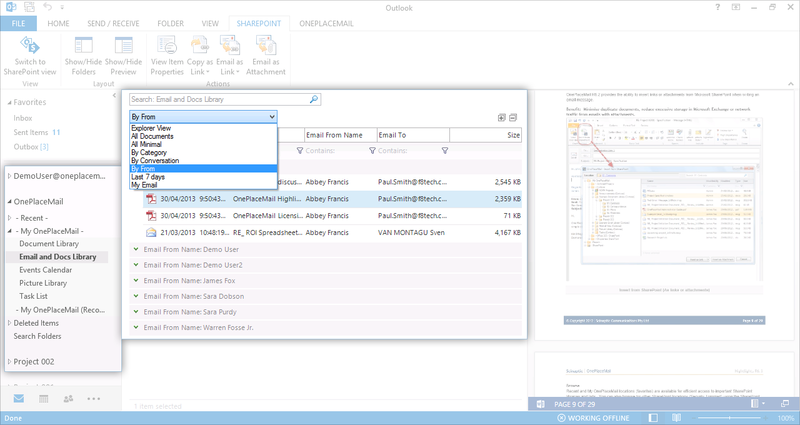 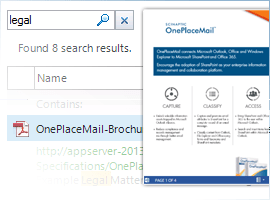 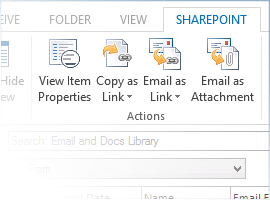 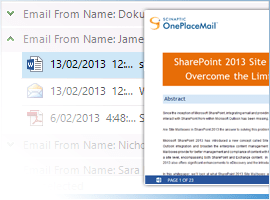 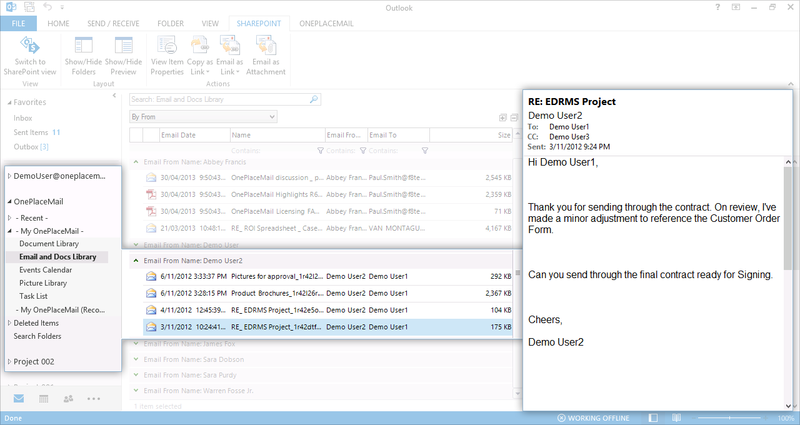 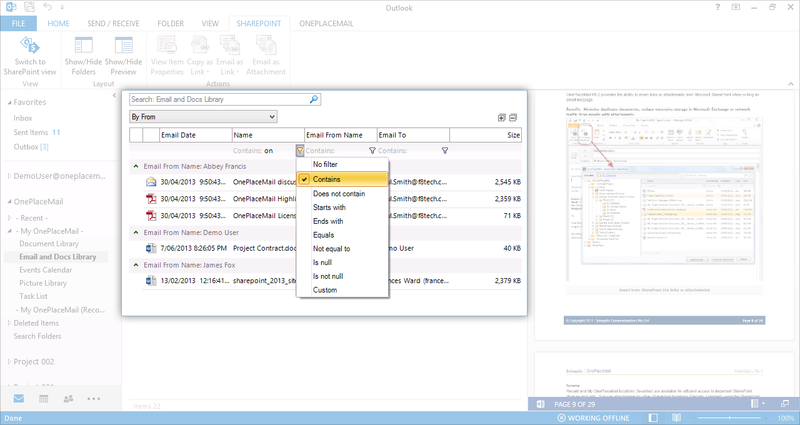 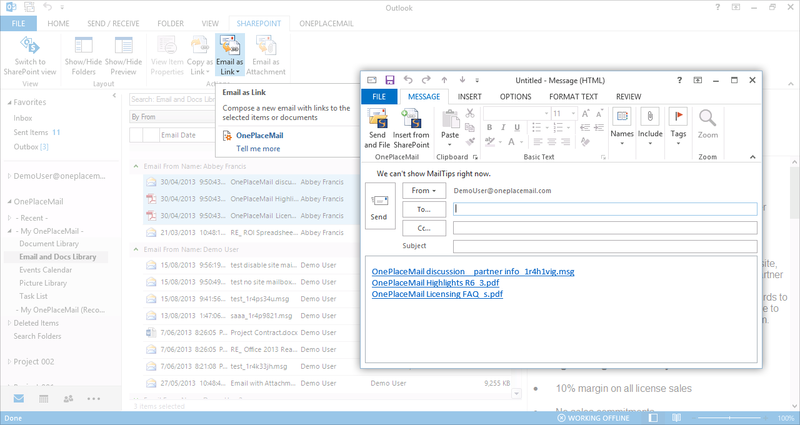 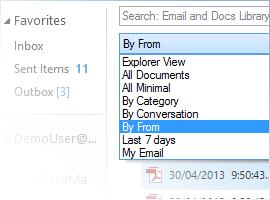 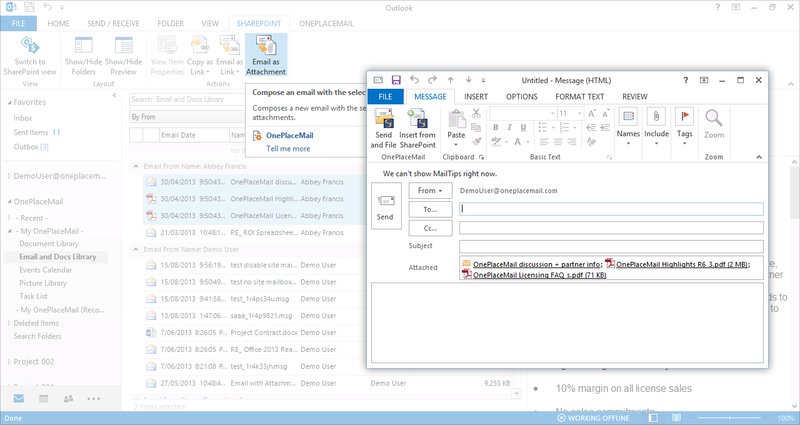 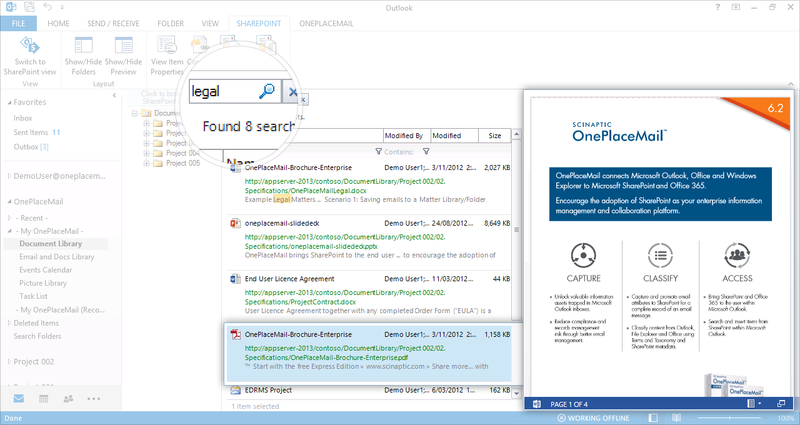 Search within the ‘Outlook style interface’ and view previews of select results.